Mastercard has released a commercial highlighting that, during the GRAMMYs, which will be taking place on February 12, Masterpass will #ThankTheFans by unlocking special offers for just $1. All those who use Masterpass will have the chance, every time a GRAMMY winner “Thanks The Fans” in their speech” to get gift cards, movie tickets, designer fashions or even a trip to next year’s GRAMMYs for only $1. 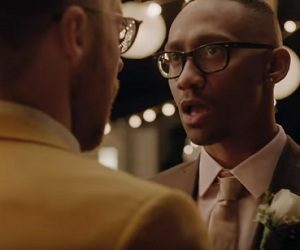 “Masterpass wants to thank the rockets, the dance offers, the nine-to-fivers, early risers”, says the voiceover in the 30-second spot, adding that on the music’s biggest night Masterpass unlocks special offers for $1. “Get movie tickets, designer fashions or even a trip to next year’s GRAMMYs” – invites you the voiceover, “because your passion for music is priceless”. The song used in the ad is the intro part of the 2015 single “Whistle (While You Work It)” of the British pop singer-songwriter Katy Tiz.